The rumours are true Lucinda has been looking for a job in Brussels. Though now it seems like she’s started something of her own, again.Best of luck to her. 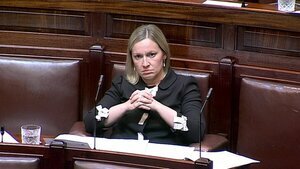 Posted in Misc and tagged Lucinda Creighton at 3:54 pm on July 25, 2016 by Broadsheet. The crap default WP 2016 theme screams professionalism and commitment. And a cheapskate attitude to presentation of her business. David Davis will be on the phone in minutes. Renua! Vulcan! Stop letting Lucinda pick names for stuff. She’s bad at it. 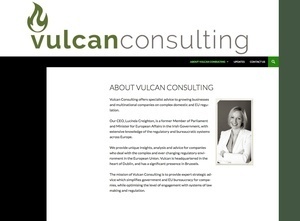 – It’s Vulcan, like a volcano! – Won’t people associate it with alien beings with powerfully suppressed emotions and a disdain for human feelings? Access to government for a fee…. or something more than just that on offer I do wonder? Is this what CVs have to look like when you are trying to join the Illuminati? Having a stab at an advert here…. ” Need to make a sizable investment in housing and a sales profit that qualifies for 10-1 charitable status? Lacks emotion..especially around Repealing the 8th…. She’s out of her Vulcan mind. Unsurprisingly she’s found a way to kling on. Pah! She has a smooth forehead. Hey, Klingons had smooth foreheads once. It’s a long story, and they don’t like to talk about it. 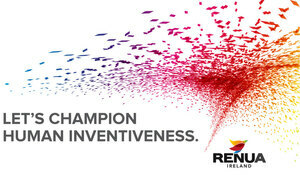 The demise of Renua is proof if proof was needed that it was only ever supposed to be a back up party in Government with Fine Gael. Once FG lost so many seats, it was clear that they were no longer relevant. Should the “People” section not be renamed to “Person”? Bit harsh. I’m sure she’s a fan of the Vulcan philosophy. It’s like Lucinda herself probably always says, “the needs of the many outweigh the needs of the few”. So her and the ‘Hubby’ set up a consulting business and she gets to wear the CEO pants…. Very Trotter’s Independent Trading Inc. of them…. Or, ‘her gaff’ as it’s referred to colloquially…. What’s your point? Most self-employed consultants work from home. The contact address for the company is on Baggot Street. Most people would register their company to their home (the owners) address and not the office they rent. Funny, would have thought most of her backers were against rubbers.